Featuring a fitness center and barbecue facilities, Holiday Home Škeljo provides accommodations in Kaštela with free WiFi and sea views. Guests staying at this vacation home can use the fully equipped kitchen. Leading onto a terrace, the air-conditioned vacation home consists of 4 bedrooms. A flat-screen TV is provided. 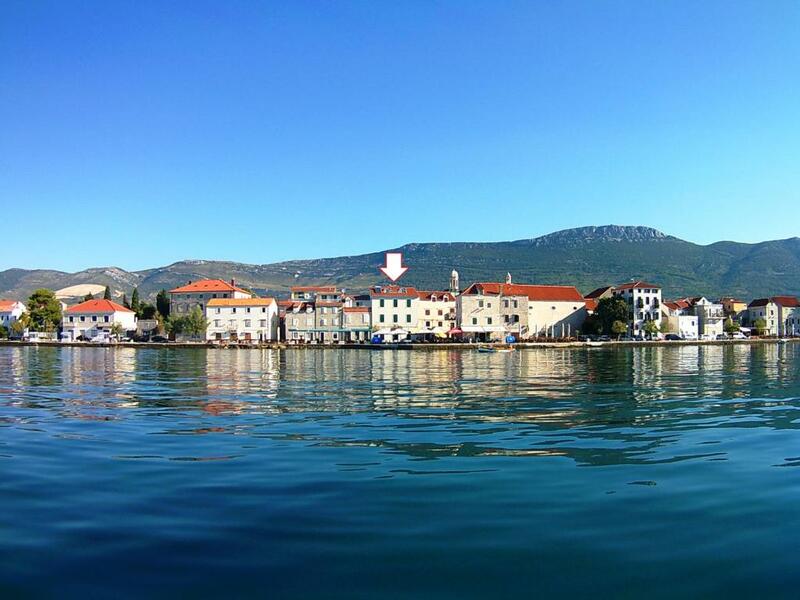 Split is 12 miles from the vacation home, while Trogir is 7 miles from the property. Split Airport is 3.4 miles away. Kastel Stari is a great choice for travelers interested in restaurants, seafood and architecture. This is our guests' favorite part of Kaštela, according to independent reviews. When would you like to stay at Holiday Home Škeljo? This holiday home has a barbecue, air conditioning and dining area. This beautiful semi-detached typical dalmatian stone holiday home comprises two houses that are connected by the terrace and space with indoor barbeque. It is situated in the centre of Kaštel Stari, 4 km from the airport, 9 km from Trogir and less than 20 km from Split. In one house there are three bedrooms and a bathroom and in the second one there is a kitchen, a dining room, a bathroom, a living room above them and a bedroom in the attic. The courtyard is fenced and the terrace on the upper floor is just perfect for sunbathing. There are cafes, a restaurant, a kiosk and a confectionery in a few metres distance. In the restaurant guests have 20% discount and free Internet. The closest beach is a pebble one, 3 minutes walking distance from the house and it is ideal for children. The town Kaštela is situated in the beautiful bay of Kaštel and it is great starting point for exursion of all Dalmatia. House Rules Holiday Home Škeljo takes special requests – add in the next step! Please inform Holiday Home Škeljo of your expected arrival time in advance. You can use the Special Requests box when booking, or contact the property directly using the contact details in your confirmation. We need at least 5 reviews before we can calculate a review score. If you book and review your stay, you can help Holiday Home Škeljo meet this goal.